Time, like everything else in manifestation, is triune. (Cf. The Secret Doctrine, I, 19.) The three aspects of Time are Past, Present and Future. 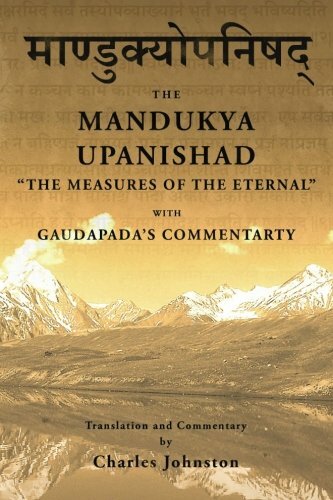 The present hour, day, life, manvantara, is caused by the past and itself is the cause of the future cycles. The anticipation of the future makes us work in the present in terms of the memory of the past. Memory-gnyan is of the past; anticipation-ichcha is of the future; these two are linked by the active kriya-present. We think we are living in the past; we imagine we are living in the future; we believe we are living in the present — while as a matter of fact, we are living in the Eternal Now and know it not. Lest there be any misunderstanding, let it be noted that these periods are not arbitrary. There are children who are born before the nine-month period assigned to gestation is over, which means that for them the functions of that period are accomplished quicker. Similarly there are egos who take charge of their bodies before seven and others after; there are boys and girls who mature before or after fourteen and so on; men and women die before or live longer than their seventieth year. What is necessary for us to understand is the fact that each human incarnation is a cycle of ten stages, five on the ascending and five on the declining arc. … An Eastern artist has attempted to give pictorial expression to the kabalistic doctrine of the cycles. The picture covers a whole inner wall of a subterranean temple in the neighborhood of a great Buddhistic pagoda, and is strikingly suggestive. Let us attempt to convey some idea of the design, as we recall it. Imagine a given point in space as the primordial one; then with compasses draw a circle around this point; where the beginning and the end unite together, emanation and reabsorption meet. The circle itself is composed of innumerable smaller circles, like the rings of a bracelet, and each of these minor rings forms the belt of the goddess which represents that sphere. As the curve of the arc approaches the ultimate point of the semi-circle — the nadir of the grand cycle — at which is placed our planet by the mystical painter, the face of each successive goddess becomes more dark and hideous than European imagination is able to conceive. Every belt is covered with the representations of plants, animals, and human beings, belonging to the fauna, flora, and anthropology of that particular sphere. There is a certain distance between each of the spheres, purposely marked; for, after the accomplishment of the circles through various transmigrations, the soul is allowed a time of temporary nirvana, during which space of time the atma loses all remembrance of past sorrows. The intermediate ethereal space is filled with strange beings. Those between the highest ether and the earth below are the creatures of a “middle nature;” nature-spirits, or, as the kabalists term it sometimes, the elementary. To enable us to understand the interrelationship between man and the solar universe in which he lives and of which he is a part, let us consider — without going into particulars — the correspondence between the movements of both. Our earth as a planet of this solar system has three movements — it rotates on its own axis, completing it in 24 hours; it revolves around the sun, completing it in 365 days; it participates in the movement of the whole solar system as it goes through the sidereal cycle of a little over 25,800 years. They had it; and it is on this “knowledge” that the programme of the MYSTERIES and of the series of Initiations was based: thence, the construction of the Pyramids, the everlasting record and the indestructible symbol of these Mysteries and Initiations on Earth, as the courses of the stars are in Heaven. The cycle of Initiation was a reproduction in miniature of that great series of Cosmic changes to which astronomers have given the name of tropical or sidereal year. Just as, at the close of the cycle of the sidereal year [25,868 years], the heavenly bodies return to the same relative positions as they occupied at its outset, so at the close of the cycle of Initiation the inner man has regained the pristine state of divine purity and knowledge from which he set out on his cycle of terrestrial incarnation. As our planet revolves once every year around the sun and at the same time turns once in every twenty-four hours upon its own axis, thus traversing minor circles within a larger one, so is the work of the smaller cyclic periods accomplished and recommenced, within the Great Saros. The revolution of the physical world, according to the ancient doctrine, is attended by a like revolution in the world of intellect — the spiritual evolution of the world proceeding in cycles, like the physical one. Thus we see in history a regular alternation of ebb and flow in the tide of human progress. The great kingdoms and empires of the world, after reaching the culmination of their greatness, descend again, in accordance with the same law by which they ascended; till, having reached the lowest point, humanity reasserts itself and mounts up once more, the height of its attainment being, by this law of ascending progression by cycles, somewhat higher than the point from which it had before descended. The division of the history of mankind into Golden, Silver, Copper and Iron Ages, is not a fiction. We see the same thing in the literature of peoples. An age of great inspiration and unconscious productiveness is invariably followed by an age of criticism and consciousness. The one affords material for the analyzing and critical intellect of the other. Thus, all those great characters who tower like giants in the history of mankind, like Buddha-Siddârtha, and Jesus, in the realm of spiritual, and Alexander the Macedonian and Napoleon the Great, in the realm of physical conquests, were but reflexed images of human types which had existed ten thousand years before, in the preceding decimillennium, reproduced by the mysterious powers controlling the destinies of our world. There is no prominent character in all the annals of sacred or profane history whose prototype we cannot find in the half-fictitious and half-real traditions of bygone religions and mythologies. As the star, glimmering at an immeasurable distance above our heads, in the boundless immensity of the sky, reflects itself in the smooth waters of a lake, so does the imagery of men of the antediluvian ages reflect itself in the periods we can embrace in an historical retrospect. Believe thou not that sitting in dark forests, in proud seclusion and apart from men; believe thou not that life on roots and plants, that thirst assuaged with snow from the great Range — believe thou not, O Devotee, that this will lead thee to the goal of final liberation. Think not that breaking bone, that rending flesh and muscle, unites thee to thy “silent Self.” Think not that when the sins of thy gross form are conquered, O Victim of thy Shadows, thy duty is accomplished by nature and by man. The blessed ones have scorned to do so. The Lion of the Law, the Lord of Mercy, perceiving the true cause of human woe, immediately forsook the sweet but selfish rest of quiet wilds. From Aranyaka He became the Teacher of mankind. After Julai had entered the Nirvana, He preached on mount and plain, and held discourses in the cities, to Devas, men, and Gods. Shalt thou abstain from action? Not so shall gain thy soul her freedom. To reach Nirvana one must reach Self-Knowledge, and Self-Knowledge is of loving deeds the child. 9. The Message of H.P.B.